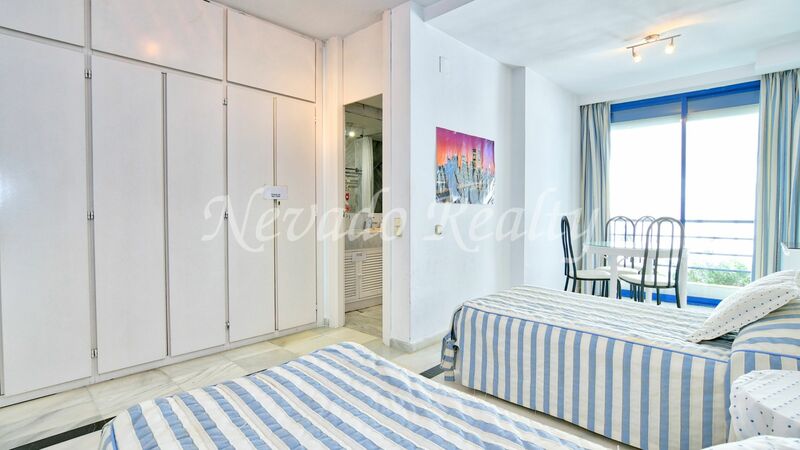 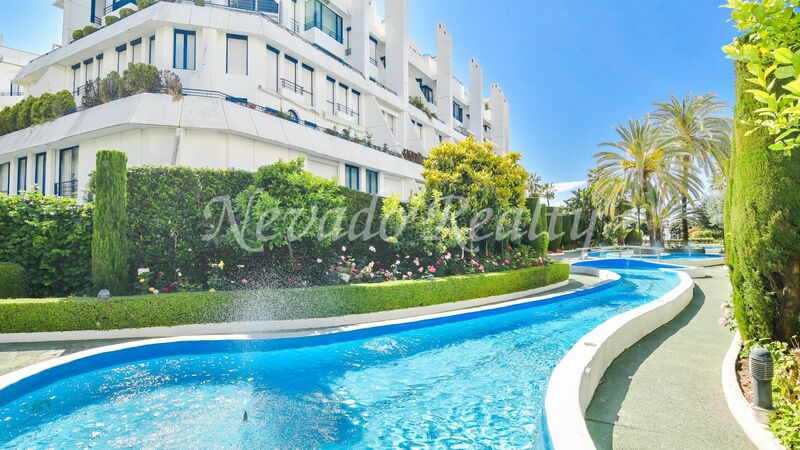 Spacious ground floor apartment with private pool in Marbella House, a well known and requested gated complex with concierge and security service 24 hours on the second line of the beach and a few meters from the promenade and Plaza del Mar shopping centre with restaurants, wellness centre, chiringuitos, beach clubs and all services. 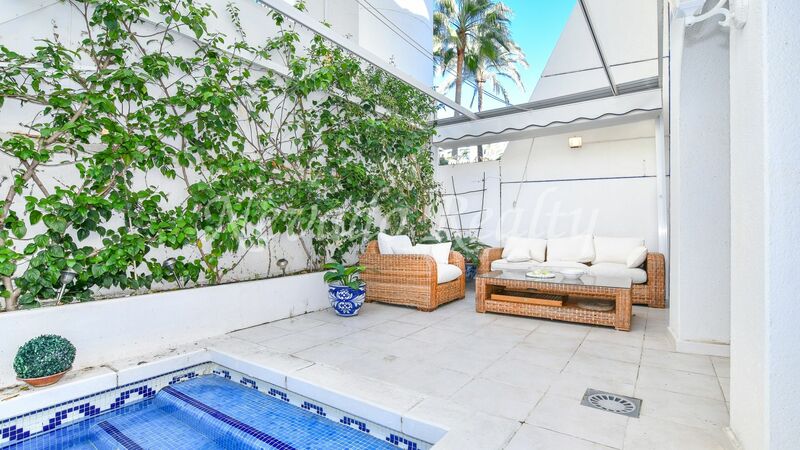 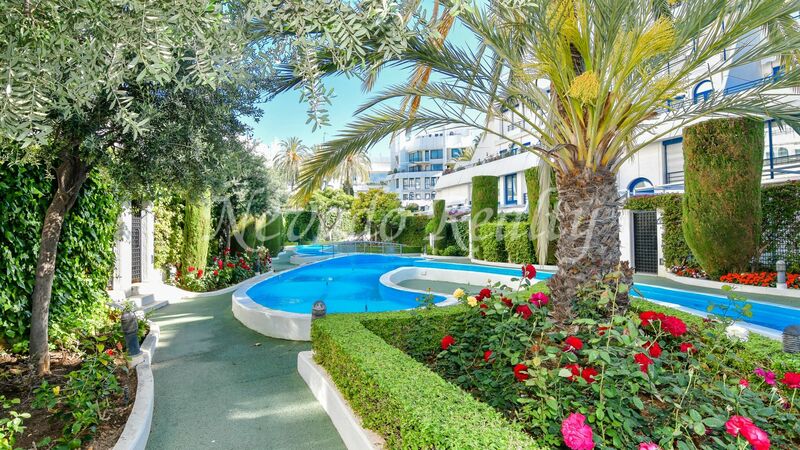 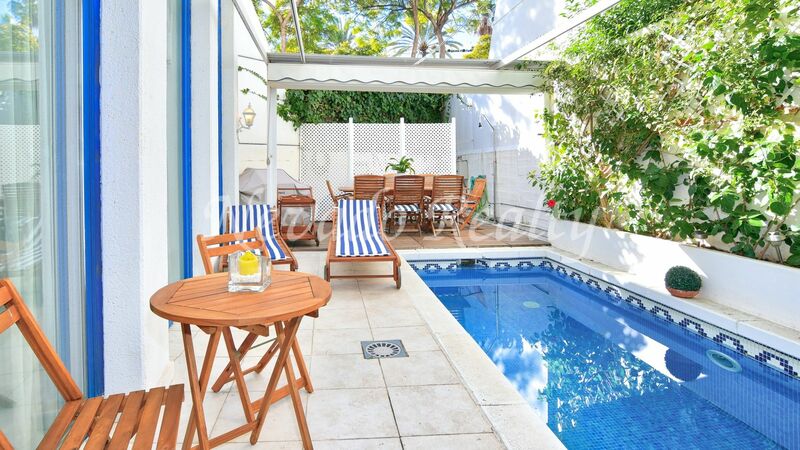 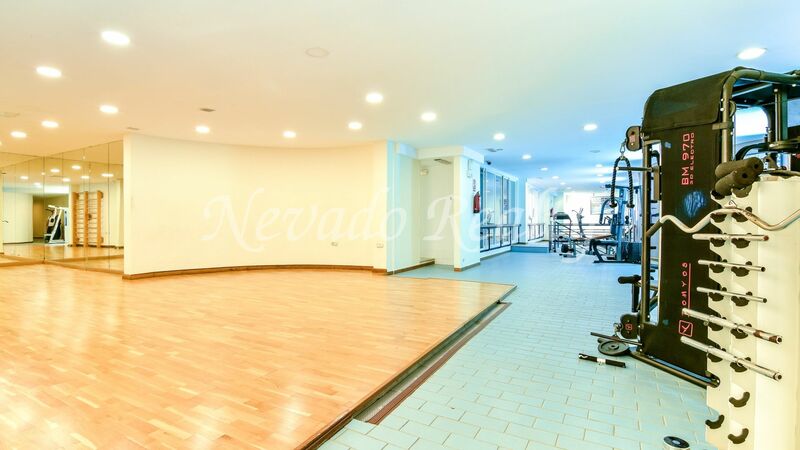 Marbella House has entrance control, swimming pool, manicured gardens, ponds, gym, squash and sauna. 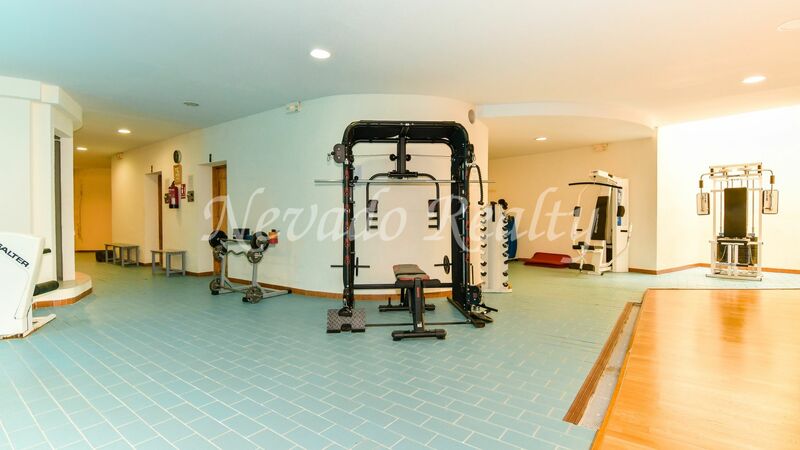 It includes 3 private parking spaces and a storage room in the underground garage of the complex. 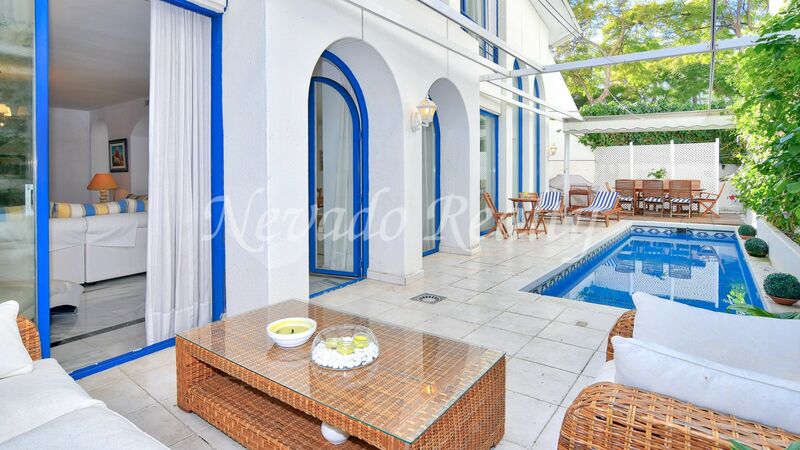 With northwest orientation it consists of entrance, guest toilet, large living/dining room with fireplace, TV area and from here upstairs to a study; fully furnished kitchen with serving hatch to the living room and breakfast table; exit to the private terrace with swimming pool, extensible top awnings, chill out area, dining room with wooden platform and barbecue; behind the lattice small storage space and purifier. 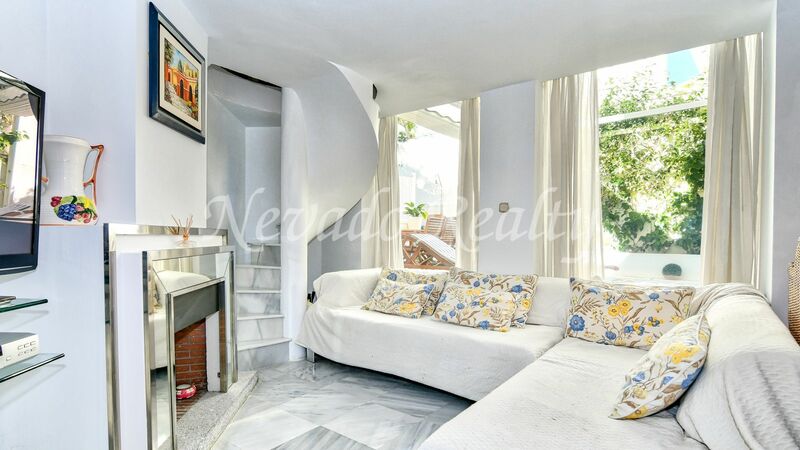 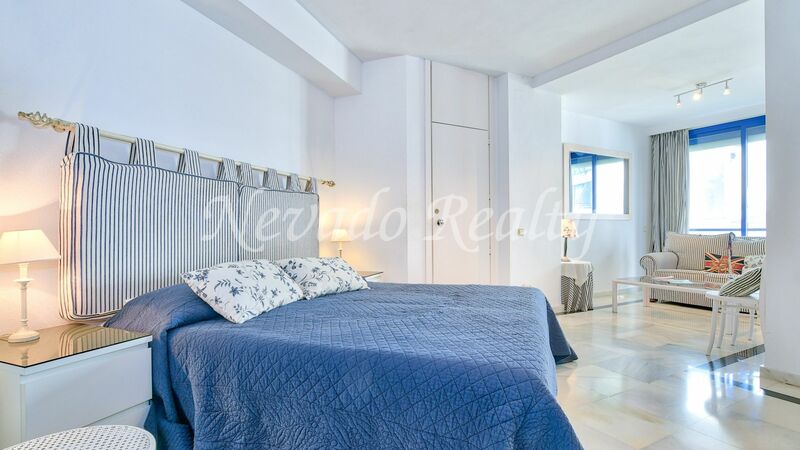 On the upper floor, master bedroom with terrace and own bathroom with bathtub; two additional bedrooms en suite. 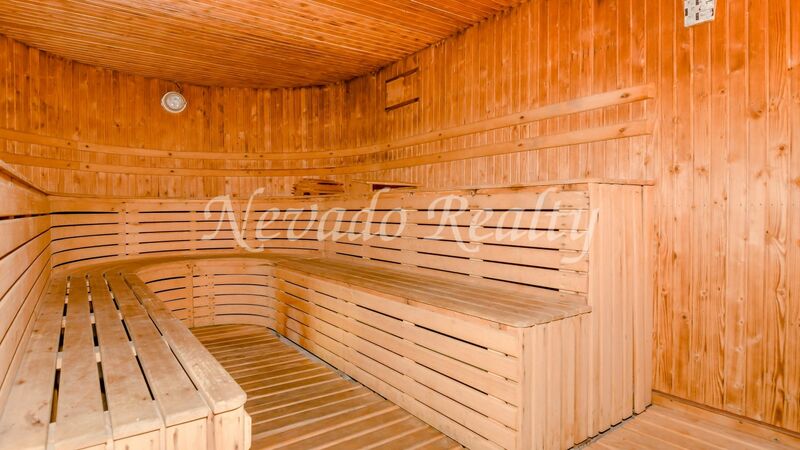 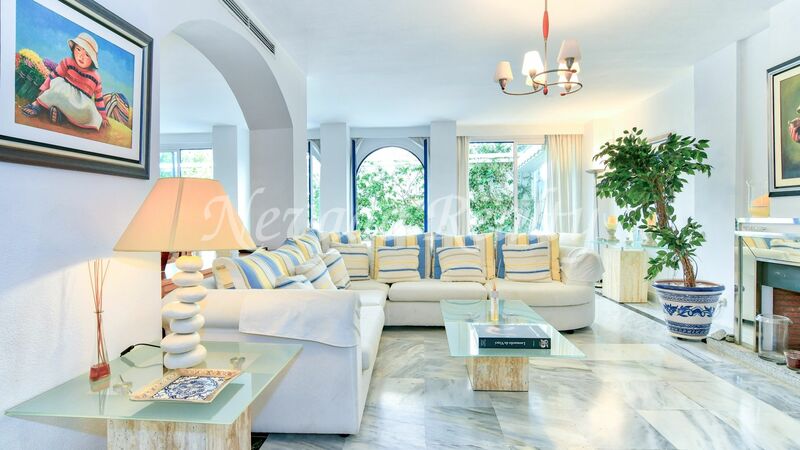 Additional features are A / C, marble floors, fireplace, awnings and barbecue. 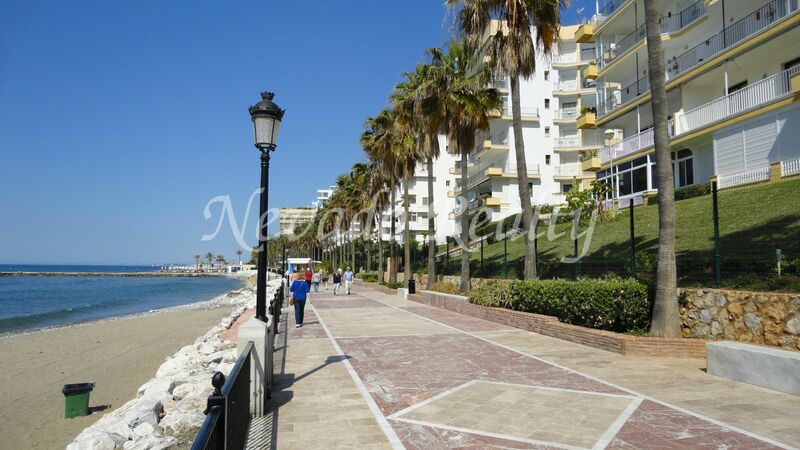 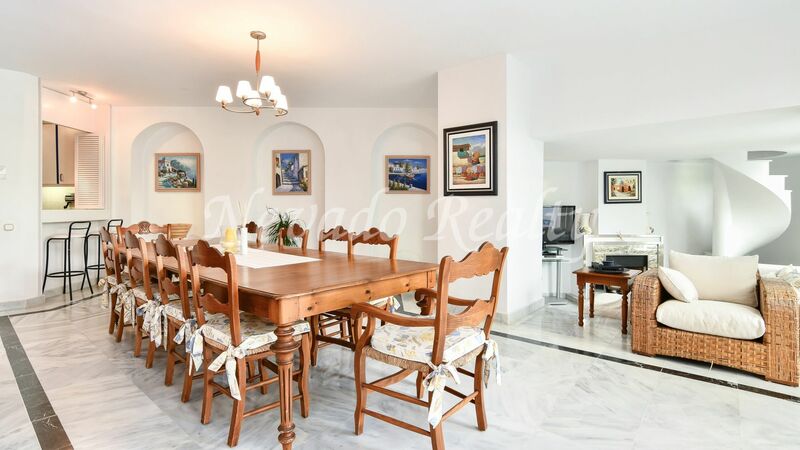 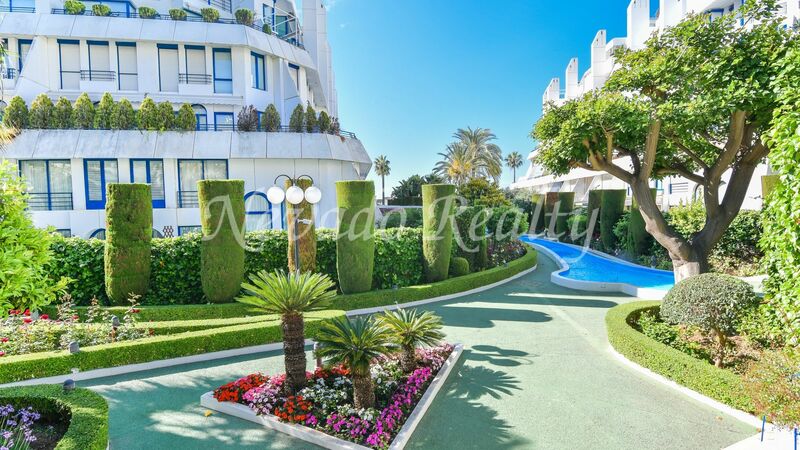 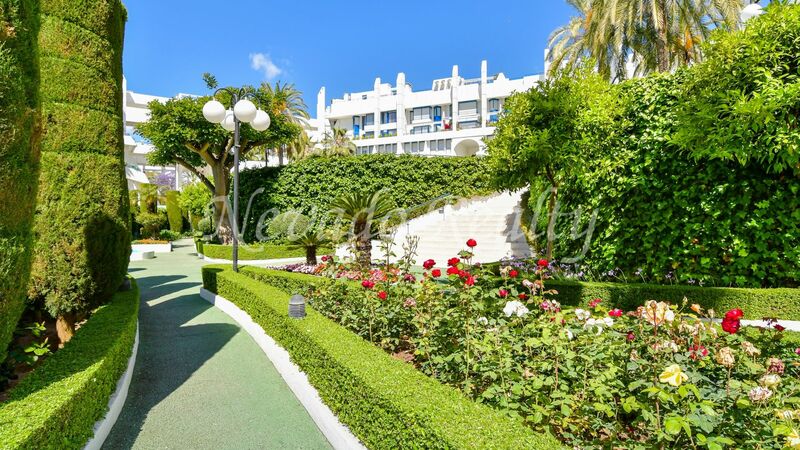 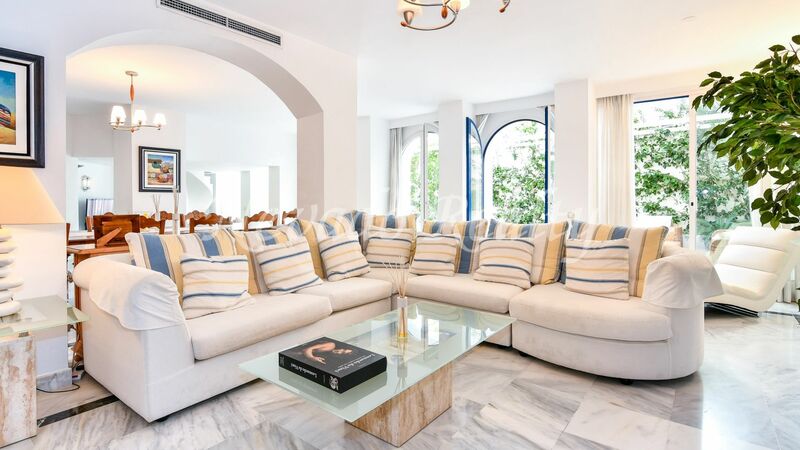 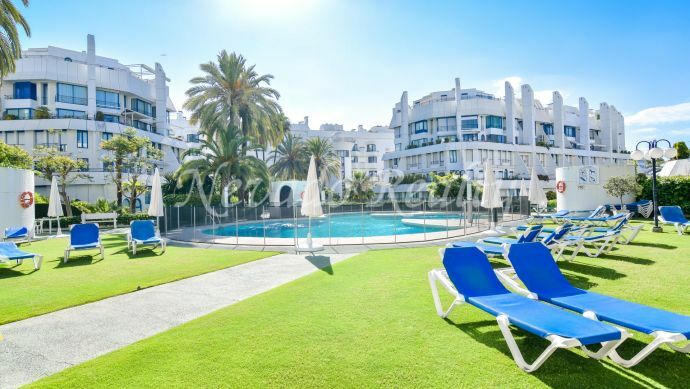 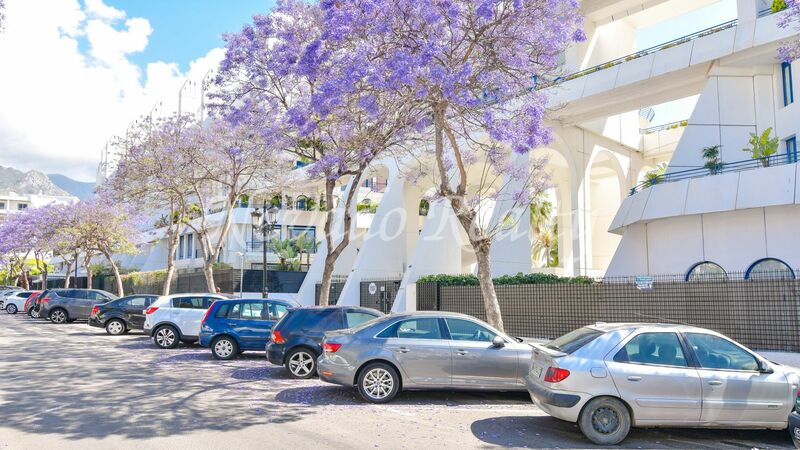 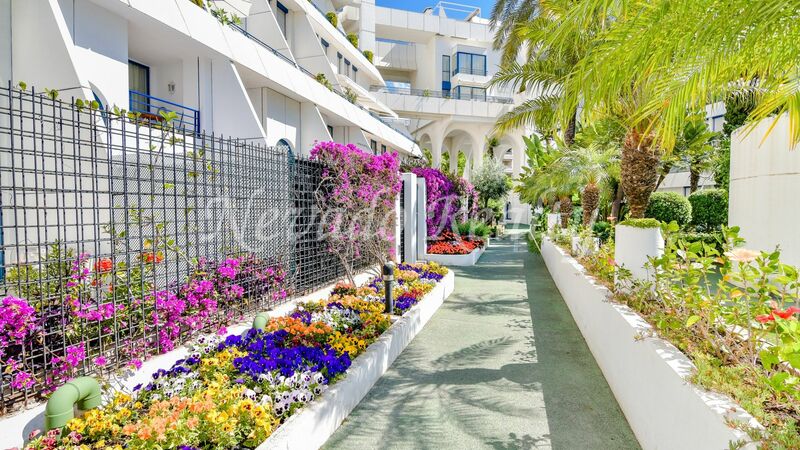 Please send me more information about ref 163-02707P, Ground Floor Apartment in Marbella House, Marbella Or similar properties.